Care should be based on the assessed needs of people approaching the end of life, their carers and families, rather than on diagnosis, age or prognosis. Working to address these assessed needs can support people and their families to remain in their preferred place of care for as long as possible. Ensuring that care is provided on the basis of assessed need, rather than diagnosis or prognosis ensures that health and social resources are used efficiently and effectively. Ensuring that all people who are at risk of unmet needs as they approach the end of life receive care in accordance with the use of validated assessment tools improves patient outcomes and experience. The delivery of needs-based care reduces unnecessary burden and distress on patients, their carers and families. All people receive timely, quality care in the appropriate setting, in accordance with their assessed needs and in consultation with them, their families and carers. Care is delivered in accordance with quality and safety standards. All people are assessed using common assessment tools that identify needs particular to their end of life care. Cultural, spiritual and other values of patients, their families and carers are respected. Partnerships with Aboriginal stakeholders (including Aboriginal Community Controlled Health Services) are fostered to address the health needs and interests of Aboriginal people. Patients’ pain and or other physical symptoms will be effectively controlled. Psycho-social and spiritual support is available and offered. Access to grief and bereavement support is available and offered. Patients, families and carers are provided with appropriate equipment to ensure a safe home environment. The Australia-modified Karnofsky Performance Score (AKPS) is a single score measure between 10 and 100 assigned by a clinician based on observations of a patient’s ability to perform common tasks relating to activity, work and self-care. The AKPS is also one of 5 assessment tools used in the national Palliative Care Outcomes Collaboration (PCOC) open to participation by all palliative care services. The Caregiver Strain Index is a 13-item tool originally developed to screen for caregiver strain following the hospital discharge by an elderly family member. The tool supports quick identification and measurement of family concerns in the employment, financial, physical, social and time domains. A self assessment tool for carers, facilitated by clinicians, to identify their needs and issues and assist them to rate how concerning these needs and issues are for them. A series of questionnaires informing clinical management of chronic diseases and cancers. The first questionnaire, the Functional Assessment of Cancer Therapy – General (FACT-G), was developed and validated many years ago and since then more than 50 questionnaires have been translated and linguistically validated in over 60 languages. The “FACIT System” comprising questionnaires and all related subscales, translations, and adaptations are owned and copyrighted by David Cella, Ph.D. The latter has granted FACIT.org the right to license usage of the FACIT System to other parties. Copies of the questionnaire in English are available through the link. Registration is required to access to the scoring and interpretation materials. Fees for use of the English version for investigator-initiated studies are generally waived. Clinical risk screening and assessment tool developed by the Peninsula Health Falls Prevention Service (Victoria).The tool has 3 sections (falls risk status: risk factor checklist: action plan) and in its complete form, the tool has both a screening and assessment component. A short series of questions opening up the matter of existing sources of strength and support within conversations in the clinical setting. MQOL was designed to measure quality of life of people at all stages of a life-threatening illness, from diagnosis to cure or death. MQOL assesses general domains applicable to all patients, incorporates the existential domain, balances physical and non-physical aspects of quality of life, and includes both positive and negative influences on quality of life. MQOL is a patient-reported instrument that employs 16 items plus a single-item global scale, each with a 2-day time frame. Five domains (physical well-being, physical symptoms, psychological, existential, and support) were identified through principal component analysis, and each of the domains is scored as a separate sub-scale. QUAL-E is a short interview-based measure of quality of life towards end of life designed to assist in the evaluation of the quality and effectiveness of interventions targeting improved care at the end of life. Professor Steinhauser, Duke University has confirmed the QUAL-E is an open access tool able to be used citing the publication as a reference. A two part intervention to identify carers’ needs to be systematically identified and managed by their GP. It comprises (a) a brief checklist of common concerns, the Needs Assessment Tool – Carers (NAT-C); and (b) a matching GP Toolkit of resources. Carers complete the NAT-C and use it to identify their concerns and needs to the GP. Clinical assessment tool aiming to assist in matching the types and levels of need experienced by people with progressive chronic diseases (eg cancer, heart failure, COPD) and their caregivers with the most appropriate people or services to address those needs. Clinical assessment and outcome measurement instrument for end of life care (Needs, Existential, Symptoms, and Therapeutic). The PACA form comprises three rating scales. Symptoms are scored on a four-point scale from zero for 'absent' to three for 'daily life dominated by the symptom', assessing the severity of each symptom from the patient's perspective, using a semi-structured interview. Insight is assessed by an observer on a five-point scale, and plans for future care were asked of the patient and recorded on a four-point scale. Facilitation of the appropriate placement for hospital patients is a fundamental element of this measure. The POS measures are a family of tools to measure patient’s physical symptoms, psychological, emotional and spiritual, and information and support needs. They are validated instruments that can be used in clinical care, audit, research and training. The POS measures are specifically developed for use among people severely affected by diseases such as cancer, respiratory, heart, renal or liver failure, and neurological diseases. The Palliative Care Problem Severity Score (PCPSS) is a clinician rated screening tool to assess the overall degree of problems within four key palliative care domains (pain, other symptoms, psychological/spiritual and family/carer). The PCPSS tool is also one of 5 assessment tools used in the national Palliative Care Outcomes Collaboration (PCOC) open to participation by all palliative care services. The Resource Utilisation Groups – Activities of Daily Living (RUG-ADL) is a four-item scale measuring motor function with activities of bed mobility, toileting, transfer and eating. The RUG-ADL tool is also one of 5 assessment tools used in the national Palliative Care Outcomes Collaboration (PCOC) open to participation by all palliative care services. Guidelines for health professionals working with cancer and palliative care patients. Commonwealth Government specifications for MBS payments for multidisciplinary case conferences. National Breast Cancer Centre produced guide for health service providers and multidisciplinary team members with ideas and tools to improve multidisciplinary care MDC at a local level. Cancer Council Australia guidelines for health professionals working with cancer patients. Intended to supplement (not replace) clinical judgment and provide short, point-of-care recommendations for screening, assessment and management of cancer related pain. A list of potentially inappropriate medications in terms of their use within elderly patient populations. Australian decision support guidelines for clinicians working with chronic obstructive pulmonary disease. 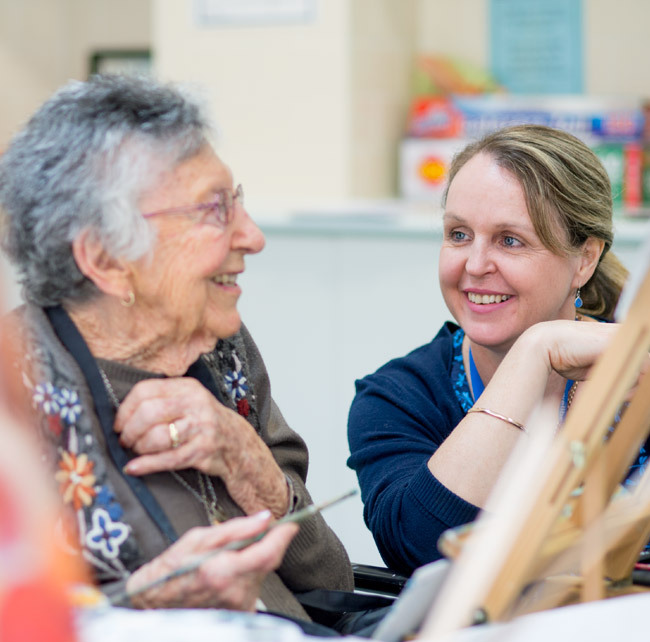 The PA Toolkit is a set of resources designed to assist residential aged care providers to build their internal capacity to implement a comprehensive, evidence-based palliative approach to care for residents. PG-13 is a diagnostic tool. A patient meeting the criteria for PGD, suggests that he or she should seek a more thorough evaluation from a mental health professional. Only an in-person assessment by a mental health professional can determine for certain the clinical significance of the reported symptoms, and provide recommendations or referrals for treatment. As the tool is copyright protected, permission is required from authors - Holly G. Prigerson, Ph.D., Paul K. Maciejewski, Ph.D.
Clinical protocols produced by the WA Cancer and Palliative Care Network for the management of dyspnoea (Community and Inpatient), nausea and vomiting, pain, respiratory tract secretions and terminal restlessness/agitation. Each of the five protocols has a user flowchart, evidenced based summary and the full version of the evidence based clinical guidelines. Produced by Australian Heart Foundation for health professionals and policy makers to establish and maintain best-practice multidisciplinary CHF care that is linked with health services delivered in acute and subacute healthcare settings and uses both in-reach and out-reach approaches. A widely used multiple-choice self-report inventory for measuring the severity of depression. Designed for ages 13+ and used in a variety of settings, including palliative care. Important in terms of differentiating between grief and depression in this context. The original form comprised 21 items while the rapid version (BDI-SF) comprises 13 items. Registration and payment required. The Psychological Corporation administers the rights for the Beck scales under contract from Dr Beck. This tool can be purchased through www.psychcorp.com. The CAM instrument is brief (less than 5 minutes) and is used to screen for overall cognitive impairment and has demonstrated good psychometric validity with close conceptual fit to DSM-IV criteria for delirium. A training manual is available online. registration is required and reproduction requires permission from the National Comprehensive Cancer Network (NCCN) but no requirement for payment noted. The Eastern Co-operative Oncology Group (ECOG) introduced a simple ‘ECOG performance status’ scale, similar to the Karnofsky performance scale but with only five points. These scales and criteria are used by clinicians and researchers to assess how a patient's disease is progressing, assess how the disease affects the daily living abilities of the patient, and determine appropriate treatment and prognosis. They are included here for health care professionals to access. The ESAS measures the severity of common symptoms experienced by patients receiving palliative care. The HADS was originally designed to detect symptoms of depression and anxiety in patients attending medical outpatient clinics and excludes somatic symptoms. The scale comprises 14 items, which are summed to provide a total score (HADS-T), as well as two subscales, purporting to measure anxiety (HADS-A) and depression (HADS-D). No requirement for registration or payment. MOCA is designed to aid health professionals in the detection of mild cognitive impairment. The MOCA is brief, well-validated and available in 35 languages. The NuDESC is an observational 5-item scale used to assess delirium. The scale has reportedly demonstrated good psychometric validity and reliability, has a close conceptual fit to DSM-IV criteria, and due to its short length, can be completed at the end of each nursing shift providing continuous 24 hour assessment. The Palliative Care Phase tool is commonly used in clinical practice to describe a patient's current condition or phase -assessment; stable, unstable, deteriorating, terminal and bereaved. The palliative care phase is determined by a holistic clinical assessment which considers the patient and their family and carers' needs. The Palliative Care Phase tool is also one of 5 assessment tools used in the national Palliative Care Outcomes Collaboration (PCOC) open to participation by all palliative care services. The PAC-QOL is an instrument generated from the literature, expert consultation and patient’s reports to evaluate constipation over time. patients are asked to rate their current condition on the basis of 25 different indicators against a five point scale. Each question is based on empirical research into the most common factors influencing people's personal sense of dignity. Represents an aide-memoire considering the patients holistic needs described in acronym (PEPSI COLA; e.g., S refers to Social support). Individual domains identify possible patients concerns via cue questions. Rationale is for a documented assessment that can be transferred to relevant health professionals involved in multidisciplinary team care. Intended to complement medical discharge summary to document unique care aspects of palliative care patients. Registration is required as the guide is copyright protected (part of the © National Gold Standards Framework Centre Thomas K 2009) but noted no payment is required. The Symptom Assessment Scale (SAS) describes the patient’s level of distress in response to seven of the most common symptoms experienced by palliative patients; difficulty sleeping, appetite problems, nausea, bowel problems, breathing problems, fatigue and pain. The instrument is designed to be a patient rated tool but also allows for rating by proxy. The SAS is also one of 5 assessment tools used in the national Palliative Care Outcomes Collaboration (PCOC) open to participation by all palliative care services. The Brief Fatigue Inventory (BFI) is used for rapid assessment of the severity and impact of cancer-related fatigue. An increasing focus on cancer-related fatigue emphasized the need for sensitive tools to assess this most frequently reported symptom. The six inventory items correlate with standard quality-of-life measures.